Since not much has changed in terms of design from its predecessors, most of the Galaxy S9’s marketing is focused on the features inside. An improved camera with many bells and whistles is one of the key features of the Galaxy S9/S9+, and Samsung’s marketing message is accordingly centered around it. Samsung’s new ‘Galaxy S9 Super Slow-mo Selfie Experience’ campaign at UK music festivals falls in the same category. 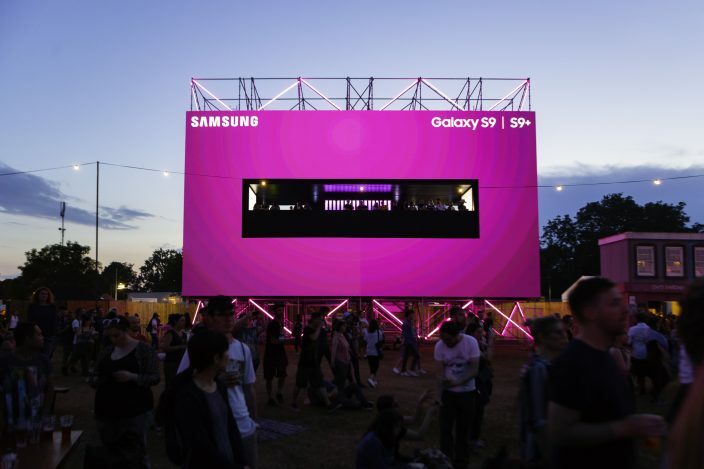 In a press release, the company announced the ‘Galaxy S9 Super Slow-mo experience and viewing platform’ will tour music festivals across the UK this summer. 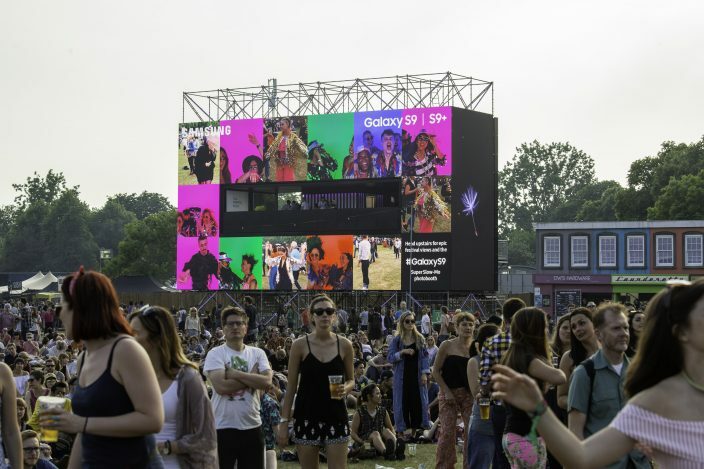 The structure, which is a raised platform offering a vantage point at the festival, was present at the All Points East from May 25 to June 3 and will also be on-site at the British Summer Time Hyde Park from July 6 to July 8 and July 13 to July 15. Samsung is also running a contest where users can win a ‘Golden Ticket’ which offers them access to the VIP platform. To take part in the contest, festival goers should share their Super Slow-mo videos on social media with the hashtags #GalaxyS9 and #withGalaxy. Samsung will choose up to 15 winners every day. “We can’t wait to share our on-site experience with music fans this festival season. Whether capturing low-light sunset gig shots or taking a Super Slow-mo video on the Galaxy S9, we are excited to enable festival-goers to capture their moment in the best way possible,” said Sam Grant, Chief Marketing Officer at Samsung Electronics.